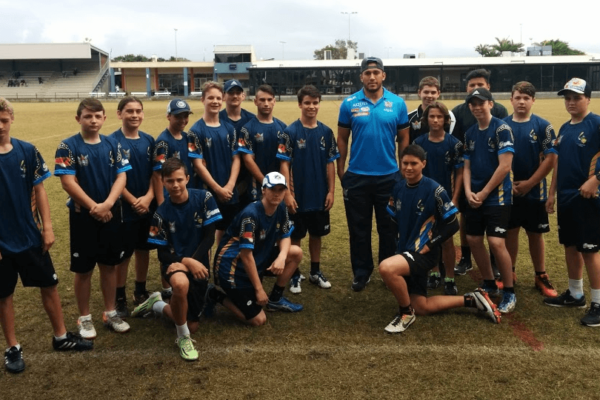 The Gold Coast Academy of Sport (GCAS), with the support of Gold Coast Junior Rugby League (GCJRL) are pleased to have developed a rugby league program. 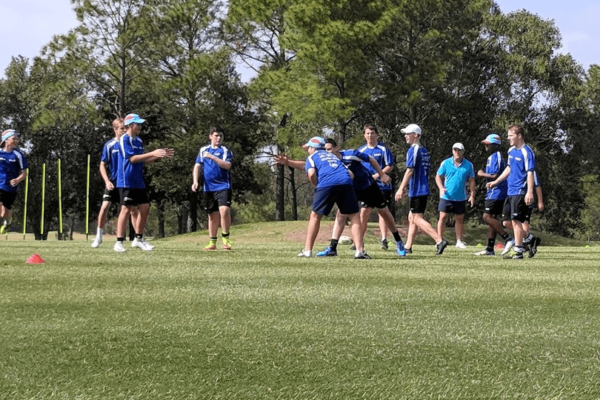 It is designed to provide talent-identified players, coaches and support staff with a clearly defined pathway to progress to Gold Coast Junior Representatives teams. Selected academy athletes will receive enhanced skill and physical development coaching. They will also take part in selected core education and personal development seminars as part of a ‘whole’ player development philosophy. In 2017 the program started with a two day camp at the Runaway Bay Super Sport Centre, followed by trainings each fortnight on Sundays 9am at Runaway Bay JRLC. Players were taken through an initial fitness screening to identify any weaknesses that would need to be improved. The annual program runs from April through to September with regular squad training sessions focused on individual skill development. In addition to on-field training sessions and competition opportunities, athletes receive access to educational seminars to further their personal development off the playing field. Academy athletes are selected from within the Gold Coast region for inclusion in the program. As indicated above, a schedule of set program sessions catering for conditioning, skill and personal development will be conducted. Players will also have the opportunity to play as a team against invited teams. This program is aimed to provide talented young players and support staff with a clearly defined pathway to progress their skills and knowledge into Junior Representatives teams. 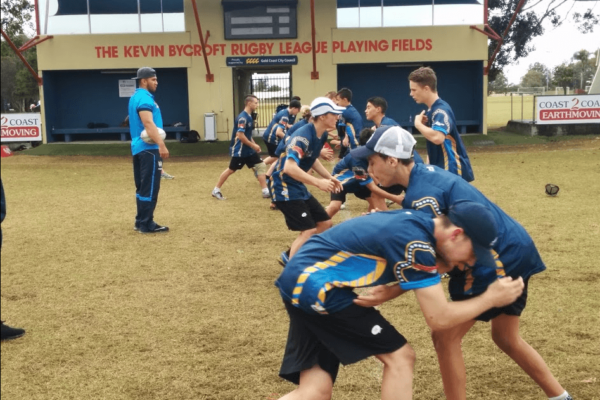 The Gold Coast Academy of Sport rugby league program consists of Junior players (14 and 15 years of age) comprising of approximately 25 players plus coaching staff. Athletes who are accepted as an Academy athlete must agree to attend compulsory training/educational sessions as scheduled. For a program fee of $110.00 incl full co-branded uniform kit including polo shirt, training shirt, training shorts and socks.